Twitter reveals its biggest moments of 2018 and the year belonged to BTS. The year on Twitter belonged to global pop sensation BTS. 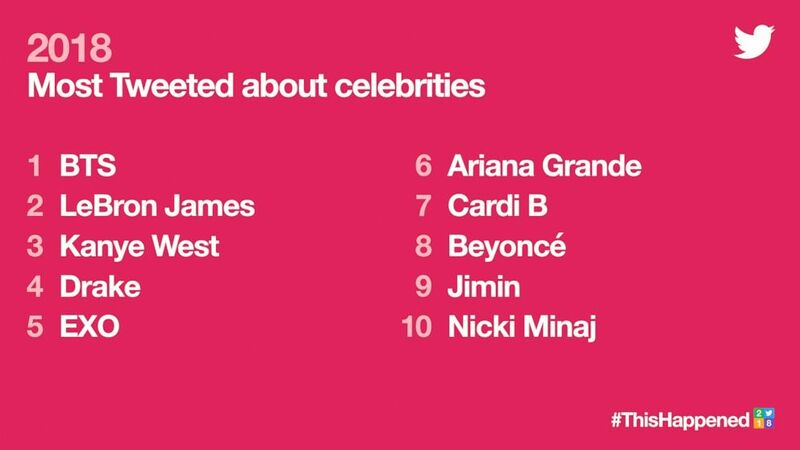 In Twitter's 2018 year in review, BTS ranked No. 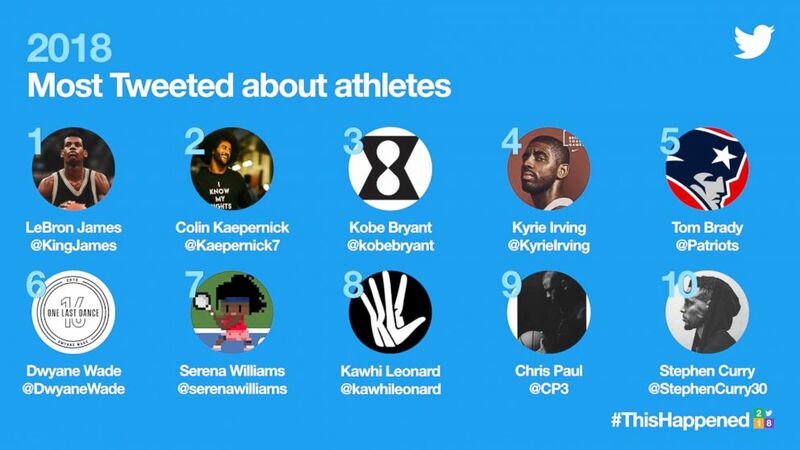 1 on the lists of most-tweeted about celebrities and most-tweeted about musicians. 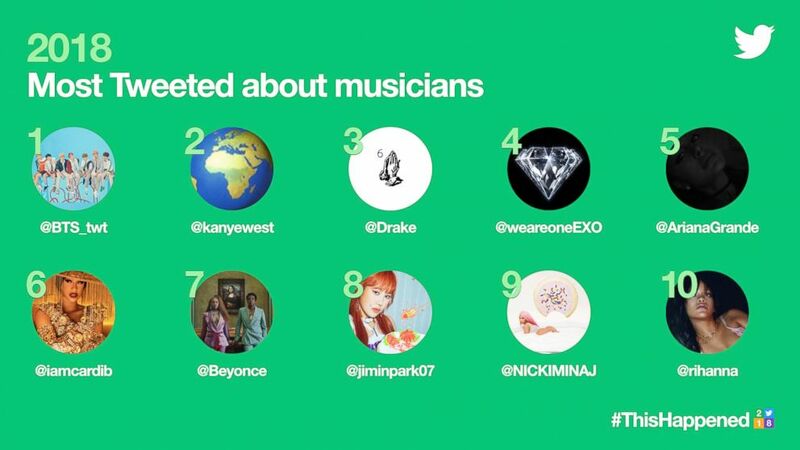 Kanye West, Drake, EXO, Ariana Grande, Cardi B., Beyonce, Jimin Park and Nicki Minaj were the other stars included on the lists. BTS, a South Korean–based group, made its U.S. morning show debut on "GMA" in 2018 and has continued to take the world by storm. The group sings about school bullying, politics and mental health and its message for the world is one of love and acceptance. Its fans, dubbed the "BTS ARMY," have become a global force as well. 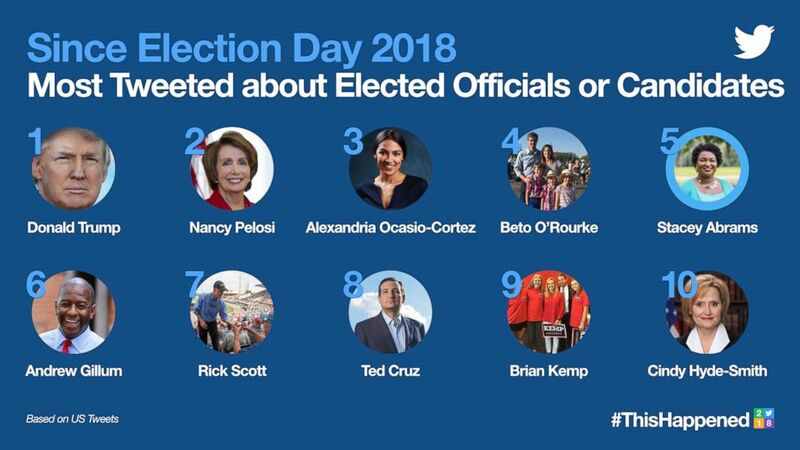 But that wasn't all that happened on Twitter in 2018. 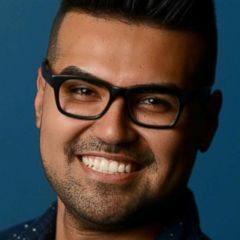 "Twitter is the place to see conversations and connections happening daily," Nola Weinstein, global head of culture, engagement and experiential at Twitter, told "GMA." "Sometimes Twitter helps make the world feel a whole lot smaller." That was more than the case in #TheRoyalWedding, where a worldwide audience RSVP'd "yes" to hear Prince Harry and Meghan Markle say "I do." (In fact, Prince Harry whispering, "You look amazing. I’m so lucky.” took the spot for most retweeted “GMA” tweet of 2018 with over 9 million views). In TV and streaming, "SNL" scored the top spot and "Game of Thrones" remains on the list of most-tweeted about shows of 2018, with the series finale coming in 2019. 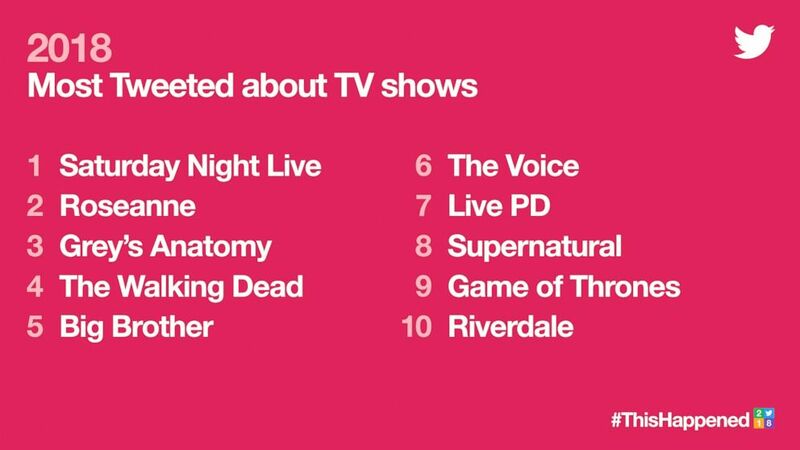 "13 Reasons Why," "Stranger Things," "Black Mirror," "Queer Eye" and "The Handmaids Tale" round out the top 5 most-tweeted about streaming shows. 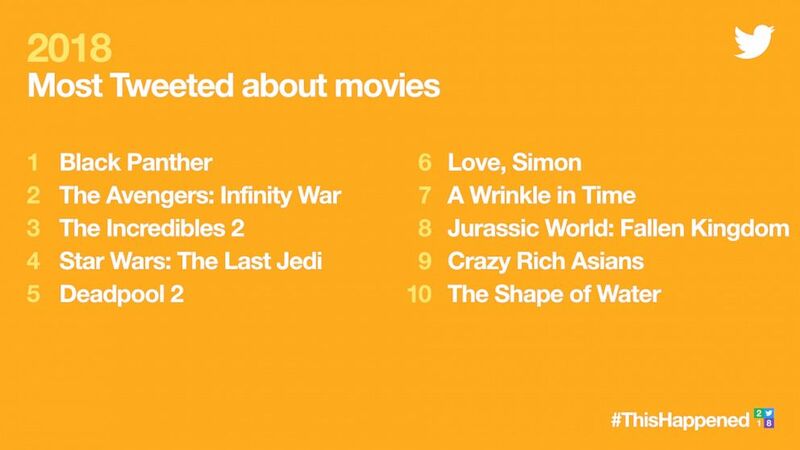 Marvel dominated the box office conversation on Twitter in 2018. "Black Panther" led the pack of the most-tweeted about movies of the year, followed by “The Avengers: Infinity War.” (Disney is the parent company of ABC News and Marvel). 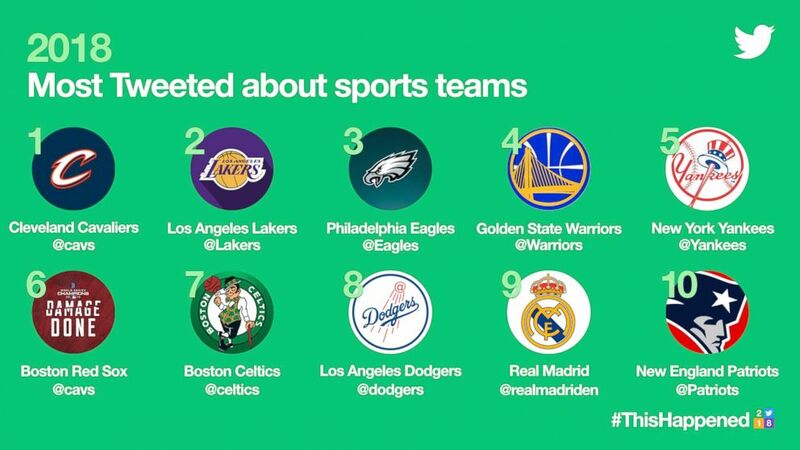 In Sports, King James reigned as the most-tweeted about athlete of the year, while the Cleveland Cavaliers were the most-tweeted about sports team of 2018. 2018 was also a big year for a conversation in politics. 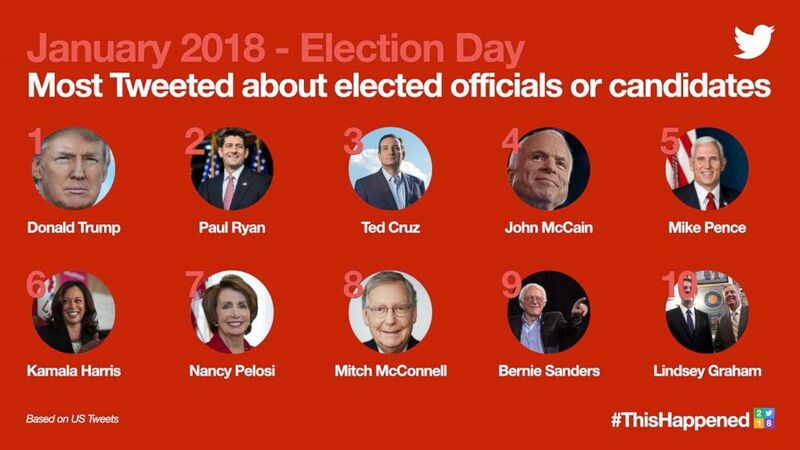 As the midterm elections took place in November, President Trump was the first on the list of most-tweeted about elected officials both before and after the midterm election, and also is the No. 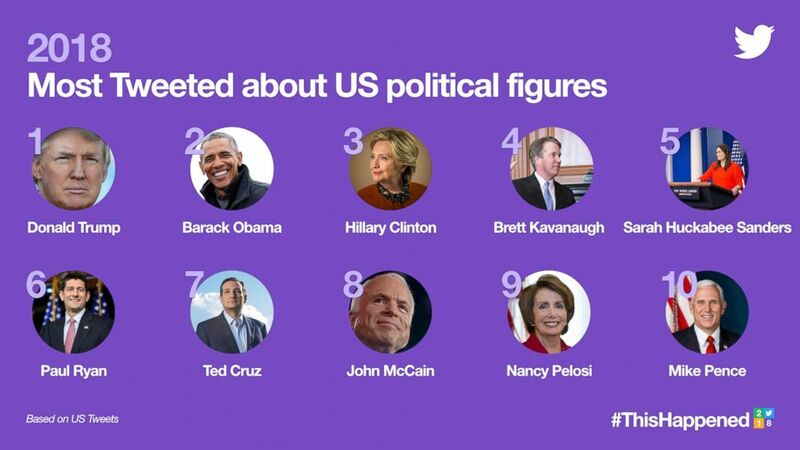 1 most-tweeted about political figure of 2018. Finally, Twitter grew as a place for voices to be heard in 2018. 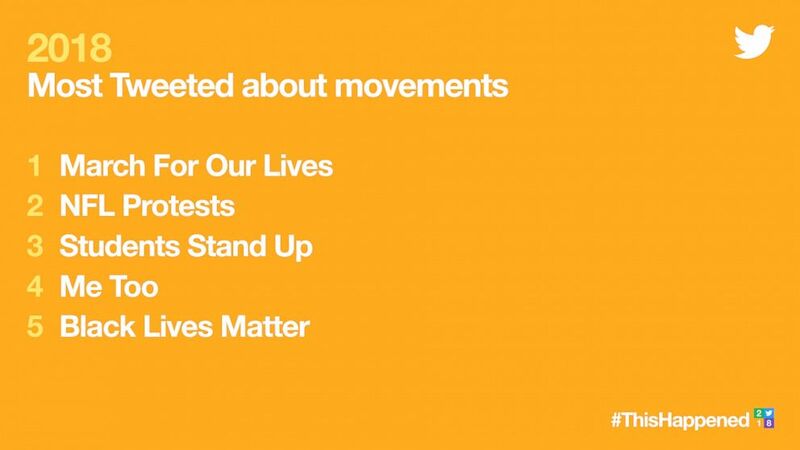 #MarchForOurLives, #BlackLivesMatter, the Students Stand Up campaign, the NFL National Anthem protests and the #MeToo movement were among the most-tweeted about movements and causes that did and continue to dominate the conversation on Twitter this year.